October, 2013 marks the ten year anniversary of BeerSmith! I thought I would take a moment to share how it all came about, and how the journey has been these past ten years. It all started as a simple tool I built to track my beer recipes in late 2002. It wasn’t much at the time, but a few others enjoyed it and encouraged me to develop it further. So over the next year I slowly added features, ingredients and tools to develop BeerSmith 1.0 which was released to the public in October of 2003. The initial reaction was positive, though certainly not by everyone. At the time, another product was dominant in the beer brewing market, so it was an uphill battle to enter the market as a complete unknown. However I managed to attract a few passionate users, and over the next year released BeerSmith 1.1 and 1.2 in quick succession, taking advantage of the feedback many users provided on needed improvements. I also launched an early version of the discussion forum to get feedback, provide support and also as a place for general discussion on brewing. Over the next few years, I slowly improved BeerSmith, and grew the number of users. Along the way I added BeerSmith 1.3 and BeerSmith 1.4, and greatly expanded the BeerSmith web site adding articles, recipes, new ingredients and more. In 2005, I started BrewWiki.com as a way of giving back to the brewing community. In 2008, I started blogging on a regular basis and created the BeerSmith blog again hoping online articles might help fellow brewers. It now contains several hundred brewing articles. In 2008, I also started working in social media including twitter, bookmarking sites (which were popular at the time), facebook, and others. The blog articles really caught on home brewing in general started to grow again. Finally in the summer of 2010 BeerSmith reached a point where I could quit my day job and focus on BeerSmith full time. This allowed me to launch the BeerSmith Newsletter in April, BeerSmith Podcast in the fall of 2010, a book based on my collection of articles: Home Brewing with BeerSmith in November. It also gave me time to focus on BeerSmith desktop – launching BeerSmith 2.0 in June of 2011 for both Mac and PC. Later a Linux version was also added. In 2012 I added the BeerSmith Recipe Cloud service to allow people to search and share recipes with friends or between computers, and this Spring I finished BeerSmith Mobile for Android, iPhone and iPad which works with the cloud to make it easy to take your recipes with you and even edit them on the go. I’m working on a significant desktop update for BeerSmith which will be BeerSmith 2.2 to be released late this fall, and plan to follow up with more features for the mobile version. It has been a wild ride. What started out as a simple tool for tracking my recipes at home has now expanded to mobile platforms and the cloud. I’ve been blessed to have the opportunity to host an internet radio show (the podcast) through 66 episodes now, write for Zymurgy magazine, BYO magazine, speak at the National Homebrew Conference, and meet thousands of passionate brewers from around the country. I’ve exchanged emails with brewers from around the world. The numbers are somewhat staggering – over 2 million people will visit the BeerSmith web sites this year, the podcasts have been downloaded over 750,000 times, the BeerSmithRecipes.com recipe site has 130,000 recipes on it, 35,000 users, and alone will generate over 4 million page views. Even my newsletter has over 35,000 subscribers. All of this is good news for home brewers and home brewing in general – in fact home brewing as a whole is growing nearly 20%/year here in the US according to the AHA. I’m happy that the articles, podcasts and websites have helped many people get into brewing and brew better beer. I wanted to finish with a simple thank you. Thanks for those of you who helped out 10 years ago when BeerSmith was tiny, thanks to those who provided ideas and feedback to me over the years to make it better, and thanks for making it possible for me to do this on a full time basis these last three years. I feel very blessed for all the home brewing community has given to me over the years, and only hope that I can continue to contribute to the home brewing community for many years to come. Thanks again and happy brewing! 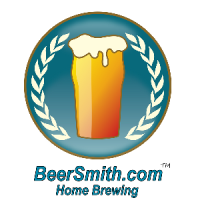 I’ve been using BeerSmith since I got into home brewing in 2006. Didn’t really know much about the brewing process so it was a learning curve but I learned from the tools what things meant and so it was an invaluable tool for learning beyond just a recipe creator. Congrats on 10 years of doing something you are passionate about and helping millions of people learning the fascinating intricacies of the brewing process. Really looking forward to what you cook up for BS 2.2 and the continued improvements on the mobile side. Thanks Mike – I’m going to post a preview of BeerSmith 2.2 shortly. I’m hoping to start early beta testing in the next week for it and will also be doing some blog posts about it. I think you will like the changes I’ve been working on – trying to clean up the interface while also adding some great new stuff. Happy anniversary! I’m new to BeerSmith and pretty new to homebrewing and I have to say BeerSmith is a great tool – incredibly helpful for me as a beginner but I can see that it will continue to be useful many years from now by which time I should pretty much know what I’m doing. Cheers! Hoppy niversary! Thx to be, simply.